Huawei Philippines together with Home Credit announced their promos for devices this Christmas season. A lot of Huawei smartphones and tablets will be available at Home Credit's installment plans even without a credit card. 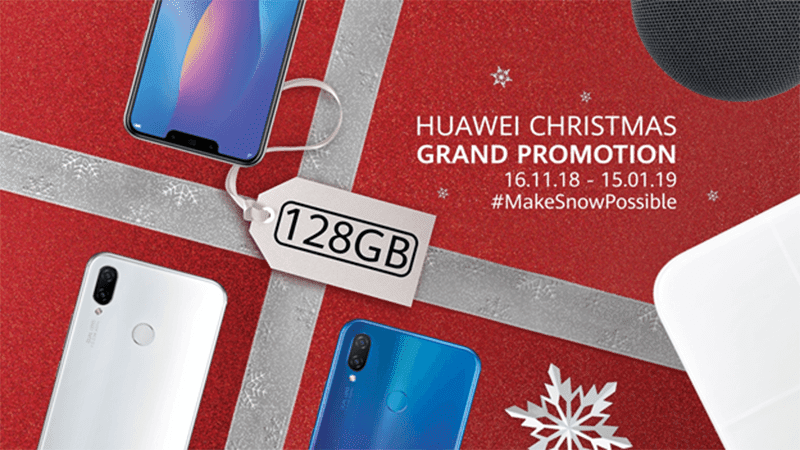 Customers who will get Huawei devices like the Huawei Nova 3, Nova 3i, P20 Lite, Nova 2i, Nova 2 Lite, M3 Lite, M5 Lite, Y9 2019, and Y6 2018 are eligible for the promo. You can get them at 0 percent downpayment and low 4.45 percent interest rate for a 9 or 12-month period. Customers who wish to own a Huawei device can basically walk out of any Huawei store with a new Huawei smartphone/table even without shelling out cash. Moreover, Huawei will even include a FREE Puridea Bluetooth Speaker for every Home Credit purchase. It is a stylish yet rugged Bluetooth speaker. To qualify for the promo, the customer should be be a Filipino citizen aged 16 to 68 years old that's employed/self-employed/remittance beneficiary and with a primary government ID. The promo is available starting November 16, 2018 to January 15, 2019.